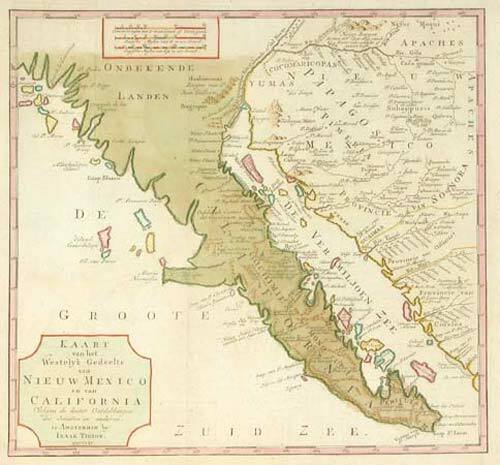 Kaart van het Westelyk Gedeelte van Nieuw Mexico en van California. Amsterdam, 1765. 335 x 360mm. Coloured. Map of California and Arizona, asdepicted by the Jesuits including Father Kino. This is a genuine antique print, published at or about the date specified, but guaranteed over 200 years old.